When the usual dinner conversation ends, as good wine flows freely, and the discussion moves on to watch complications, the usual suspects tend to appear; retrograde movements, ratrappante chronographs, moonphases, perpetual calendars – all get their time on the table. But when the conversation gets a little deeper, a little more reverent and serious, that’s the point when we it turns to minute repeaters and grand sonnerie watches. Now what is a minute repeater, and what is it about grand sonnerie watches that set them apart from everything else? First off, minute repeater wristwatches have been around a whole lot longer, with the first minute repeater wristwatch produced in 1892 by Louis Brandt (the precursor of the brand we know today as Omega, with a movement made for them by Audemars Piguet). Minute repeaters are chiming watches where the primary function, apart from keeping time of course, is to aurally tell the time through the striking of bells and gongs internally. Often, with a change of pitch to differentiate between hours, quarters and minutes. From a technical perspective, minute repeaters can draw its energy from the watch’s mainspring and are designed to chime on demand. In other words, a minute repeater will only chime when activated. Minute repeaters are extremely high end and are made by the top producers in limited numbers annually. When we get to grand sonnerie watches, the numbers are much smaller, both in quantity available, as well as time in the market. The world’s first grand sonnerie wristwatch was only produced in 1992 by independent watchmaker Philippe Dufour, and since then, only a large handful have been produced till today. Grand sonnerie watches are built to automatically strike every quarter hour, round the clock, all year round. If kept fully wound, a grand sonnerie watch will sound automatically 96 times a day, and 35,040 times a year! Above that, the mechanism required for such a timepiece has to be completely integrated with considerable design and technical dedication to the energy reserve required to power both time keeping and striking duties. In addition, most grand sonnerie watches also have minute repeater functions. If a mechanical time keeping device that chimes the time every 15 minutes all day sounds familiar, that’s because it is. In a very basic sense, at least function-wise, a grand sonnerie wristwatch is the same as a grandfather clock, ubiquitous in many homes all over the world. If you consider then, the size of a grandfather clock sans pendulum, and the size of a wristwatch, you have to be awed by the horological mastery that is represented by a grand sonnerie. Someone like Philippe Dufour effectively miniaturized a complicated mechanical movement the size of a basketball, down to a wristwatch movement the size of a postage stamp. And of course, as with most automatic chiming clocks, grand sonnerie wristwatches include a silent mode. Most important to switch off in this day and age of mobile phones! Talking about that, a funny little conundrum rears its head when we get to the place in horology that the grand sonnerie occupies. Just as the argument rings on how mobile phones can tell the time just as well (or better than) mechanical watches, why would anyone produce what is effectively a mobile mechanical alarm clock in this day and age? Well, because of what the grand sonnerie represents, very few have the ability to manufacture such a complex watch, and the ones that do, do so in excruciatingly small numbers. Correspondingly, only the very well heeled have the resources to acquire such a timepiece. From both sides of the coin, the grand sonnerie today represents the ultimate apex of the entire modern horological landscape. There is always a market for such a niche product. Lets take a look at some of the players in the market. Launched in 2014 to commemorate the legendary marque’s 175th anniversary, the Grandmaster Chime represents Patek Philippe’s most complicated wristwatch at that point. Housing 20 complications in 1,366 parts, the Grandmaster Chime took 8 years to develop. The masterfully hand-engraved 47mm case alone required 4 years to materialize and consists of an additional 214 components. The special case was required to be able to flip the watch face, with copious amounts of detail and displays spread across the watch’s dual dial display. Across its lavish list of complications, the Grandmaster Chime carries a grand sonorrie with additional minute repeater functions. A unique and original innovation is also introduced on this watch, a date repeater. A pusher at the 4 o’clock position activates a striking mechanism that will sound the day of the month with information read off the perpetual calendar. The Grandmaster Chime is a limited edition of seven pieces; six reserved for Patek Philippe’s VIP customers and one retained to be displayed at the Patek Philippe Museum. The wristwatch that started it all. Philippe Dufour is largely regarded as one of the greatest living watchmakers, and runs his independent manufacture out of a workshop in Le Solliat in the Vallée de Joux. He created his first timepiece in 1983, the Grande and Petite Sonnerie minute repeater pocket watch, which led to a contract order of 5 such pocket watches from Audemars Piguet. Taking 5 years to complete the order, Dufour was disenchanted when it hit him that none of the watches bore his name, completely negating half a decade of work and effort. Turning this situation into strength, he envisioned a Grand Sonnerie wristwatch, and set out to produce one. In 1992, the Philippe Dufour Grand Sonnerie wristwatch was introduced and won the gold medal for technical innovation at the Basel watch fair. The original series consisted of 4 unique watches, 3 crafted out of yellow, white or pink gold, with the fourth made out of platinum. All had a white enamel dial with Roman numerals and Breguet hands. Coincidentally, the first of these watches was sold after only after Dufour personally showed the watches in Singapore. Since then, a second series was launched in 1999 with a sapphire dial, and approximately 10 Philippe Dufour Grand Sonnerie wristwatches are known to be in existence. Released at the Salon International de la Haute Horlogerie (SIHH) in January 2017, the Greubel Forsey Grande Sonnerie is the watch that Greubel Forsey themselves say is the most complex watch they have ever made, and is also the result of 11 years of research and development. The creation of the watch included the filing of two patents and the development of an acoustic resonance cage that enhances the purity of the striking tones. The Greubel Forsey Grande Sonnorie uses a manually wound movement housed within a 43.5mm titanium case, which also hosts its silent striking regulator and a 24-second tourbillon. Curiously, while the time-keeping function is manually wound, the striking mechanism is self-winding via a micro-rotor with approximately 20 hours of power reserve in grande sonnorie mode. 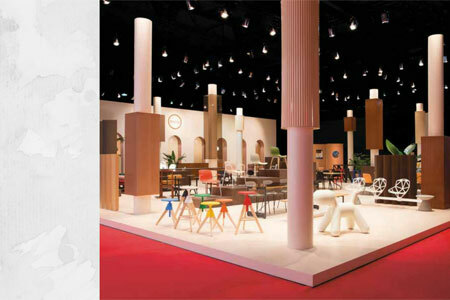 Each piece take about a year to be produced, with only five to eight pieces expected to be completed per year. 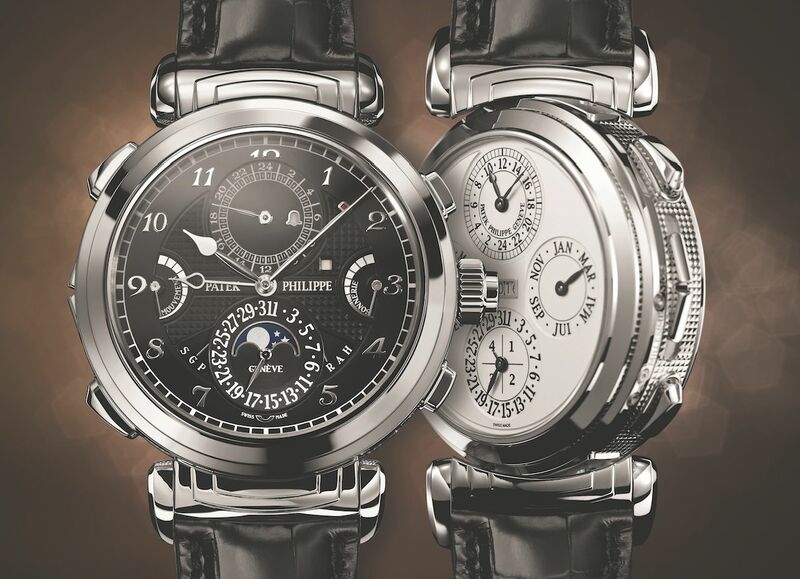 Developed by François-Paul Journe himself, and released in 2006, the F.P. Journe Sonnerie Souveraine represents his most complicated watch, and yet, is designed to be extremely simple to use; simple enough for an eight year old to operate without causing any damage to the watch. The watch contains 10 new patents and has features such as a mechanism to block off power to the sonnerie if the power reserve of the watch drops below twenty hours, retaining the core integrity of the watch being able to tell the time. 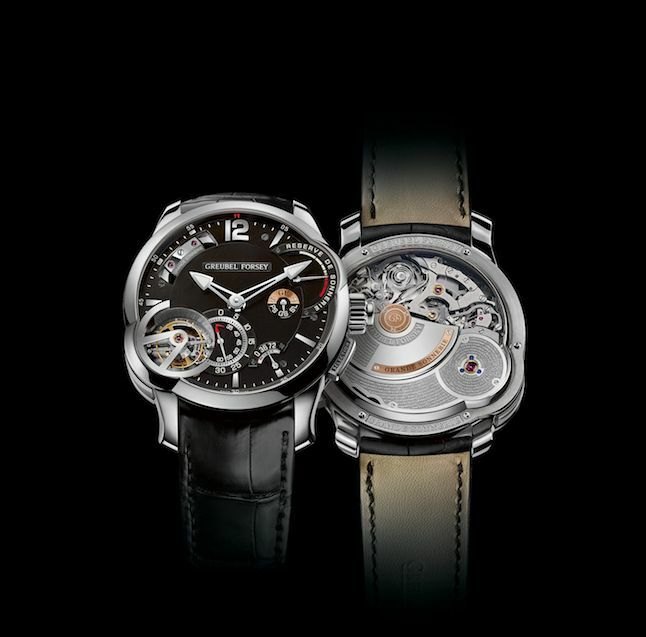 Journe also made it impossible for the sonnerie to activate during time setting, and conversely also introduced mechanisms that prevented the time to be changed while the sonnerie was striking. All this was to prevent user-initiated damage to the watch. With the sonnerie deactivated, the watch could run for close to five days, and with the sonnerie turned on, for about two days. Curiously, the 42mm watchcase is stainless steel instead of a precious metal, chosen for its superior acoustic properties. For the personal touch, instead of a serial number, each watch has the owner’s name engraved on it, giving it a life and a soul connected to the individual, and is delivered with extra internal components in anticipation of a lifetime of ownership. Move fast if you want one though, F.P. Journe has just announced the retirement of the Sonnerie Souveraine by 31 December 2018, with a new grand complication to be introduced in early 2019.